With the possible exception of its pernicious habit of burning through tanks of gasoline a bit faster than you’d like, you probably love your SUV for its roomy passenger compartment, ample storage space, high-tech safety features and commanding road view. This is one of the main reasons SUVs or crossovers are some of the most popular vehicles on the roads. 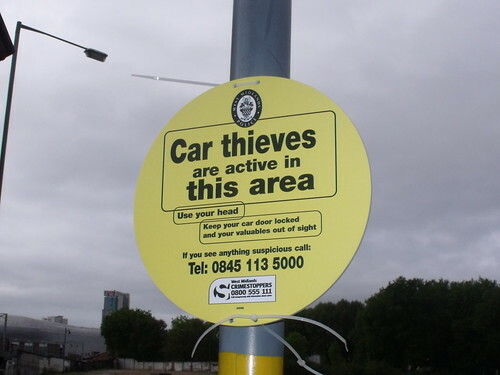 Of course, the assets of these vehicles can make them attractive to thieves, burglars and mischief-makers. If you are a vehicle owner, protect yourself from all manner of threats with the following four safety features, each of which offer unique safety and security attributes. The company continues to build upon its early success and now offers a dizzying array of newer products like Early Warning, which contacts clients directly as soon as their car is stolen, and SafetyNet, which helps users track family members with cognitive disorders or disabilities. Marketed by Winner International, the Club is a steering-wheel and ignition lock that makes it difficult to impossible for amateur car thieves to move your vehicle. 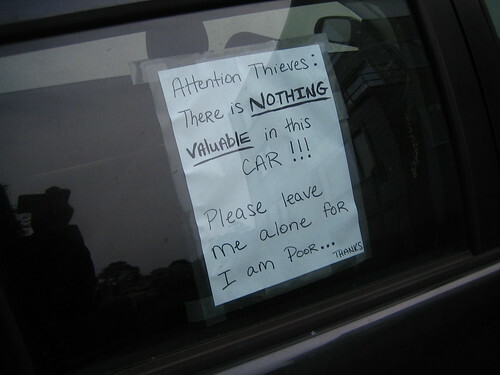 The device is virtually indestructible: It’s been observed to have withstood earthquakes and hurricanes, and would-be thieves who break into cars that use it usually give up after realizing it won’t be moved no matter how much abuse they administer. The Club is endorsed by none other than the National Fraternal Order of Police and has probably prevented hundreds of thousands of car thefts. Led by Progressive Insurance’s game-changing Snapshot program, the field of insurance telematics has exploded in recent years. The concept is simple: Rather than estimate your risk of an accident based on demographic factors and your past driving record, insurance companies can figure out exactly what you’re doing with a cabin-mounted device that records things like the frequency and forcefulness with which you brake, your average speed, miles driven, and whether you drive often at night. Progressive boasts that its Snapshot system can reduce premiums by up to 30 percent, creating a powerful financial incentive. If early indications are to be believed, the program is a wild success, reducing the frequency of accidents and speeding tickets among users. Some programs also track your vehicle’s location. Initially reserved for the exclusive use of GM customers, OnStar has finally expanded many of its services to other vehicles. At its core, OnStar is a safety net that manages common driving distractions and maintains connections between its vehicles and the outside world through hands-free calling technology and GPS navigation. OnStar’s key “automatic crash response” feature, which sends out a distress signal to the company’s service center after a serious accident and then contacts local first responders using a GPS signal, may be the most cost-effective means of guaranteeing the safety of your SUV’s occupants. John Reynolds authored this post on behalf of Gear-Zone, where you can find the latest and greatest products from The North Face and other leading brands.